Mike became a member of ASHRAE in August 1973, and is a Life Member. He has a BS in Engineering from Iowa State in 1969 and a PE in Oklahoma. Mike worked for Marley Cooling Tower Company until 1972 when he joined Process Equipment in Oklahoma. Mike worked his way up to president of Process Equipment until the company sold to Marley. Mike still works for the new company in sales. Between the Central Oklahoma Chapter and NEOK Chapter of ASHRAE and Region VIII, Mike has served in about every capacity of ASHRAE. He has received Exceptional Service Award, Distinguished Service Award and was a Golden Gavel president while serving in Central Oklahoma chapter. Bill graduated from OSU in 1971 with a BS in Psychology. He married his wife Sara in June 1971 and they have one daughter. 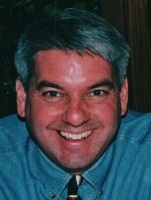 Bill worked in the HVAC industry until he founded Pneutech Systems in 1988. As the company grew he merged with Ed Williams and then Bill decided to move to Wisconsin. Bill had a successful year as our chapter president and was another one of our Golden Gavel presidents. Bob worked in the family business then served in the US Army from 1960 to 1963. He went back to school and graduated from OU in 1970 with a BSME in Mechanical Engineering and a PE in the state of Oklahoma. Bob work career includes, Southwestern Bell, Davis & Rountree, Bergoust Engineers, and ONG where he retired. He joined ASHRAE in January 1970 and has served in many positions earning Chapter Service Award, Jack Thompson Award and was a Golden Gavel president while in Central Oklahoma chapter. Cary became a member of the Northeastern Oklahoma Chapter of ASHRAE in 1997. He is a graduate of the University of Tulsa in 1985 with his B.S. in Business, Finance. Cary started his HVAC career at RAE Corporation as a HVAC Coil Sales Engineer in 1993. Boone & Boone Sales hired him as a local representative in 1997 and Cary moved to a manufacturer’s representative roll. As the Boone brothers looked to retirement Cary purchased and is currently the sole owner of Boone & Boone Sales representing Bell & Gossett and other prestigious product lines in Oklahoma and Arkansas. Cary served as President of the Northeastern Oklahoma Chapter of ASHRAE and received the Presidential Award of Excellence with the Star Award Special Citation in 2004. Steve joined ASHRAE in December 1993. Steve’s career started with Natkin & Co. in 1973 after graduating from Tulsa Central High School. He was with Natkin until they sold in 2001, when he joined Omni-2 from 2001 to 2004. Steve joined McIntosh Service in 2004 heading up their mechanical department. He has held several positions in the NEOK ASHRAE chapter. Joel is a native Tulsan and graduated from OU in 1984 with a Mechanical Engineering degree. Dave Righthouse recruited him to join Johnson Controls in 1984 where he stayed until 1998. Dave was one of three founders of ABS controls and recruited Joel once again to join ABS. One of the founders passed away and Joel purchased those shares of stock to become the Tulsa Branch Manager. Joel was awarded the Golden Gavel for his year as president of our chapter. 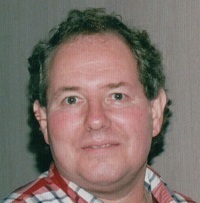 Dave joined ASHRAE in 1995. He was born in Kansas City MO and his parents moved to Tulsa when his dad Ray Lam, former past president of our chapter. After graduating from University of Kansas in 1988 he moved to Massachusetts working for WSI Corp. until 1991. 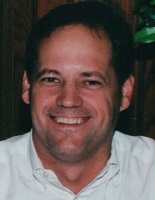 Dave returned to Tulsa and went to work for Russell Plumbing Co. in 1994 to 2003. He joined Omni-2 in 2003 as a project manager and now is Operations Manager. Nancy graduated from OSU and went to work for Powers of Oklahoma. Nancy was our chapters second woman to become president. Powers was bought out and Nancy left the industry. to become president of our chapter.